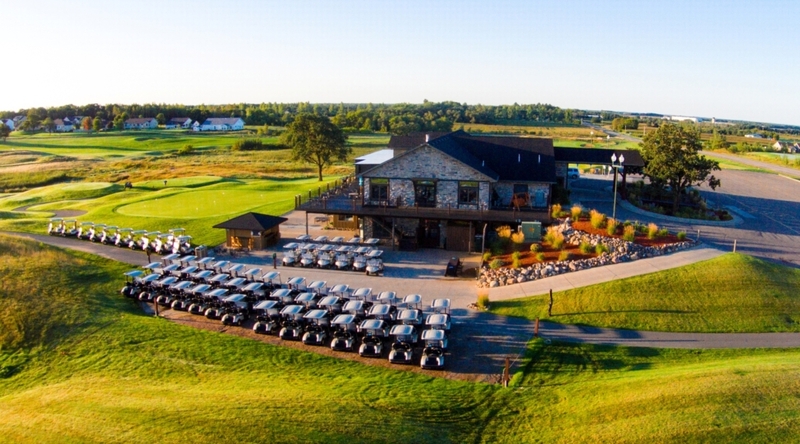 The 12,000 square foot “Minnesota Lodge Style” clubhouse features a fully stocked golf shop with knowledgeable and professional golf staff. Located within the clubhouse, Coyote Moon Grille offers a relaxing dining setting with a variety of great menu options and a full bar. 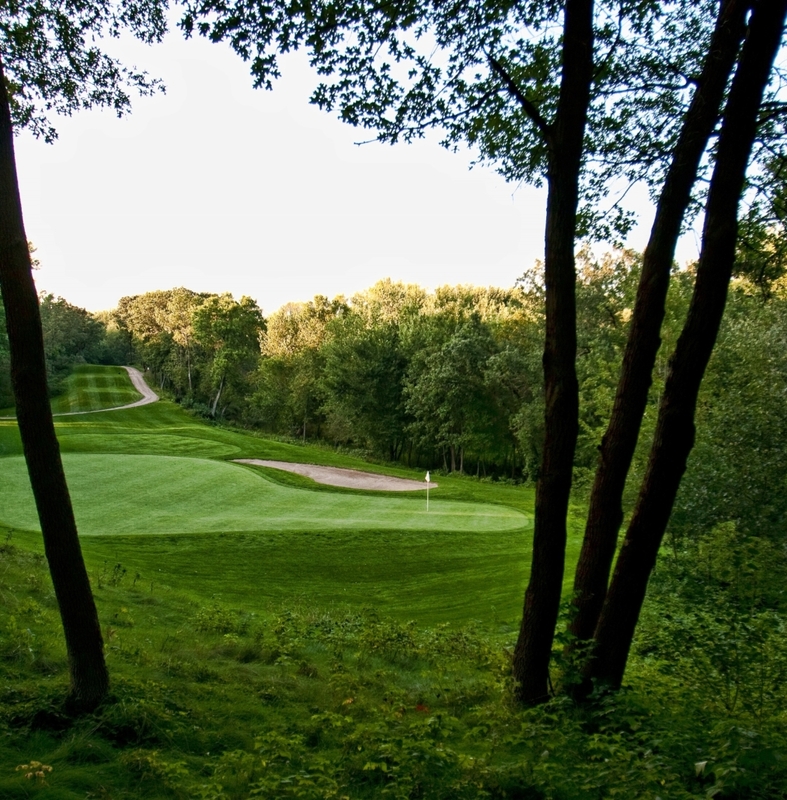 Considered one of the best golf courses in Minnesota, Territory Golf Club is an 18-hole (6,978 yard) championship golf course positioned on a piece of land that is host to a vast mixture of golf holes. The course starts with a “links” style design featuring sweeping topography and native grasses. 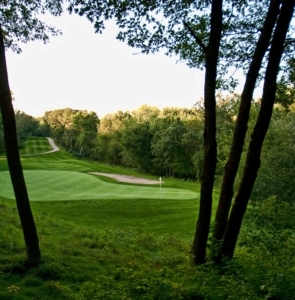 It then shifts to an “up north” wooded style design with tight landing areas and mature trees. The entire course is comprised of huge undulating greens and wide inviting fairways separated by marshy wetlands. The designers of Territory Golf Club transformed the 260 acre plot of nature into an eye pleasing work of golf course art. 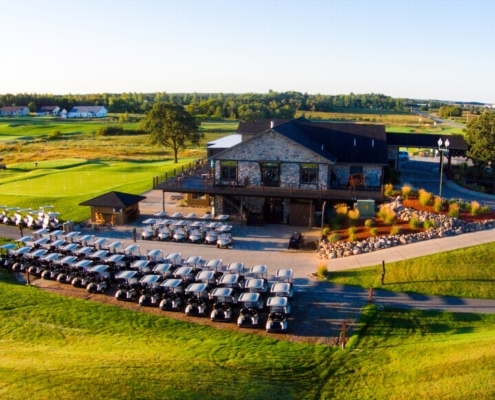 The golf course is a blend of both prairie and thick woods with a plethora of ponds and strategic “links” mounding which offers diverse challenges to golfers of all levels as well as excellent visual hole separation. Holes stretch as far as 626 yards (par 5 – #10), yet each hole has five sets of tees making the playability manageable for all skill levels.